You are here: Home / Build A Music Website / When Is The Right Time To Start A Music Blog? 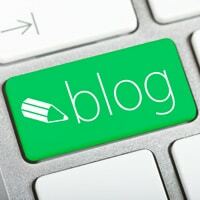 Creating a blog or music website is one of those standard things you should do as a musician. Generally, this is a task you should only have to do once, but one that will set your music career off on the right foot. But when is the right time for you to set up your site? This is what I will look at today. I’ll also look at the wrong time to start a blog, so you don’t invest your energies into it before it’s necessary. As a broad rule of thumb, you want to set your site up as soon as you’ve got something you want to promote to the world. To break it down though, here are three ‘qualifiers’ you can look at to see if you’re ready to make your music site. If you answer yes to all three of them, you need to get a website made now! Having a professional looking website gets people to take you more seriously. For this reason alone, if you’re ready to start pushing your music career forward, you should think about setting a site up. Think about it from the point of view of an event organizer. Let’s say they wanted to choose a act to come and perform at their launch night. There were two candidates; both equally talented, but with totally different websites. One had a profile page on a social networking site (let’s say Facebook for the sake of argument), while the other had a fully branded .com website. This website had their name in the web address, a shop page, logos showing what big brands they’ve been associated with, was easy to navigate, and showed other performances they’ve done in the past. Which musician do you think they’d pick to play the first gig? 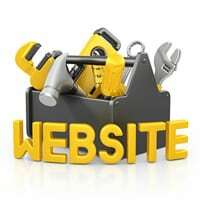 Your website is like your online CV, and a good website gives off a good impression of you. This will lead to more bookings and more fans sticking around longer. One of the best things about having your own site is that they’re fully customizable. You can layout your pages in any way you want, you can add more or less any feature you want (if you’re using WordPress to build your site, don’t click that link yet as I’ll tell you a easier way to set WordPress up soon), and you can structure things on each page differently. What this does is gives you a better chance of making sales and driving website visitors to see what you want them to see. If you simply have a Facebook page, there’s only so much you can do in terms of laying things out. If you have a show coming up and want to sell as many tickets as possible, you can quickly restructure your site so there are multiple chances for your visitors to see what it is you’re promoting. With a Facebook page however, this isn’t really possible. If you have a lot of songs and videos under your belt, your website is a good place to showcase that. Now of course, if you haven’t yet got much material, you’ll want to get a few songs written and made before you get a website and start promoting yourself. But if you’ve sorted in terms of good songs, then creating a website is the next step. If you’ve looked at these three qualifiers and have answered yes to them all, have a read of this guide on how to make a good quality website in 20 or so minutes. It shows the same method I followed to make this site you’re reading now, and is the easiest way to set up a powerful WordPress site very quickly. While I strongly feel every musician should own their own .com (or country equivalent) website, there are some instances where it wouldn’t be the right time to set up the site just yet. The whole point of having a site is so you can get yourself out there a lot better. It reflects well on your brand, and it makes it easier for fans to find out everything they need to know about you in one easy to navigate place. That said, if you’re just starting out with music and you’re still finding your style, you don’t need a website. During your practicing stage you shouldn’t be looking for your fanbase. You shouldn’t be promoting, you should only be focusing on getting better. Don’t rush into getting people to hear your music, make sure you’ve got real talent to share first, then get your website up and running once you do. While websites are essential tools for those musicians wanting to make a career from music, if you really haven’t go the money to make one just yet, you shouldn’t starve to get one up. The thing is, there are free alternatives. No they may not convert as many sales or get you as many fans, but they can still do the job until you have the money there to upgrade to a pro website. Even if you can’t afford a site yet, you should still save up to get one in future. You can make a site for a few dollars a month, and if you use it properly it’s worth investing in. If you “don’t have money” because you have computer games you need to buy or because you want to go and get pampered for the day, that’s a different story. This is an investment in your business, so put the other wants on hold and get your website sorted today. Unless you really haven’t got the money (read ‘will starve if you buy a website’) or you’re not yet ready to showcase your music, you should get a website up and running. It’ll help you convert more fans, make more sales, and build up credibility to both fans and companies that can help you out. If you’re ready to make a site, you can see how to do that here. These are the same methods I used to make Music Industry How To, so give it a try. 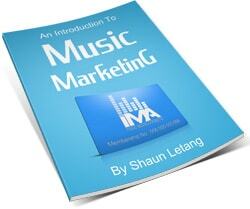 Hi Shaun, your advice rocks, but the one on when to start a music blo concentrates more on a website than a blog.